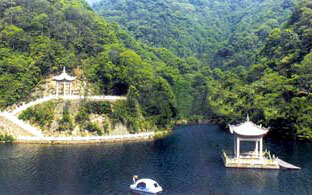 Ningbo hotels: discount reservation system offered by chinahotelsreservation. Ningbo in-depth information: how find the essential requirements about your stay, complete instructions about tours and convenient accommodation for resorts and discount rooms. 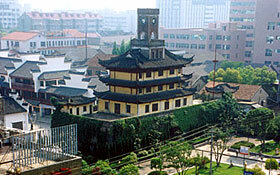 For detailed Ningbo hotel information or to reserve a hotel please click on Ningbo Hotels list. Ningbo lies in the shore of east China sea, south wing of the Changjiang Delta with developed economy, adjoin Shanghai, Hangzhou, it is a Chinese open city, specifically designated city in the state plan that enjoys first class economic administer power in the province, have " larger city of the whole country " that makes local regulation power, it is national historical cultural city, national garden city and national outstanding tourist city. The whole area in the whole city is 9365 sq. km., total population is 5,567,000. Belong to the subtropical monsoon climate, gentle and moist, make a clear distinction between the four seasons, the average temperature of the whole year is 16.2 ?, the temperature on average is the highest with July, the lowest in January. The annual average precipitation is 1300 to 1400 millimetres. Ningbo have a long history, it is with a civilized history of 7000 years river nurse that cross origin of culture, China important port of foreign trade, the Changjiang Delta south wing important economic key city and taking in the industrial base again. Ningbo makes a clear distinction between the four seasons, it is temperate in climate, the mountains and rivers are beautiful, it is the ideal tourist attraction. Main position have beauty spot as follows, A educate temple, Xikou scenic spot, Haishu floor, town of Xikou and sinus of snow Wang seal tower, seven tower Buddhist temple,etc..